What does CauseHealth mean by N=1? “N=1” is a slogan used to publicise a core purpose of the CauseHealth project. N=1 refers to a project which is focussed on understanding causally important variables which may exist at an individual level, but which are not necessarily represented or understood through scientific inquiry at a population level. There is an assumption that causal variables are essentially context-sensitive, and as such although population data may by symptomatic of causal association, they do not constitute causation. The project seeks to develop existing scientific methods to try and better understand individual variations. In this sense, N=1 has nothing at all to do with acquiescing to “what the patient wants”, or any other similar fabricated straw-man characterisations of the notion which might emerge during discussions about this notion. In Evidence Based Medicine terms, of course, an N=1 trial is a randomised controlled trial involving a single subject with a random allocation of the temporal sequence of interventions. Such a trial has traditionally sat at the very top of evidential hierarchies because it offers the best scientifically controlled conditions. CauseHealth is sympathetic to such a methodology, although the clinical notion of N=1 means much more than just this method. N=1 is both an ontological claim, about the causal singularism (this means that causation is something intrinsic to the person and the situation, and does not have to be repeated in exactly the same way elsewhere to count as causation) and possibility/plausibility of the situation that each causal setting is unique. It is also a methodological claim, arguing against the idea that the individual can best be captured by searching for the relevant sub-population. Which group should represent Rani? Women between 40 and 50 years of age? Mixed ethnic background? Norwegians? Educational status? Etc. Say we find such a group, then why assume that this group is Rani’s ‘twin population’? There might be all sorts of causally relevant factors that they cannot represent but that are important in Rani’s individual case. N=1 is about starting from the expectation that everyone is different, rather than from the assumption that everyone is statistically average. This is a fundamentally important scientific shift in how research should be operationalised and interpreted. Despite the above, N=1 thinking is not at all dismissive of population studies, and sees them as critical tools which are well suited to signalling to where causal activity may well lie. However, the above limitations of population studies related to individual clinical decision-making are highlighted within the N=1 notion. Paradoxically, as we gain more data, experience, and maturity with our population research programmes, contextual analysis of such data starts to reveal that there is indeed no “one size fits all” approach to the management of much burdensome disease, for example low back pain. Such analyses are exemplars of how N=1 and population data work together. N=1 is about contextualising the individual human within population data. It moves beyond a level of thinking which says “here is a patient with low back pain, let me see what evidence-based interventions are available for low back pain”. Rather, it is committed to understanding the human in front of us and the causally relevant factors which will influence that person’s return to a desired functional level. Some of those factors will have been represented in population data, many will not have been. 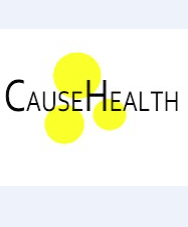 The scientific and philosophical pursuits now for CauseHealth are to develop ways of establishing how those individual and context-sensitive causal factors can be more systematically understood? We aim to move scientific methods of inquiry forwards with this in mind. Hy, could you excuse my english, i am a french physio. Howdays , N=1 is a scenario, out the field of the scientific method, is not a scientific theory. So N=1 question me, where am I as physio : in, out or behind the field of science and ??? The unknow,the reality,the patient??? Are you affraid to create a kind of monster as an argument to use against EBP? But n=1 stay a usefull tool in practice, i suppose can’t be applied in a expérimentation.